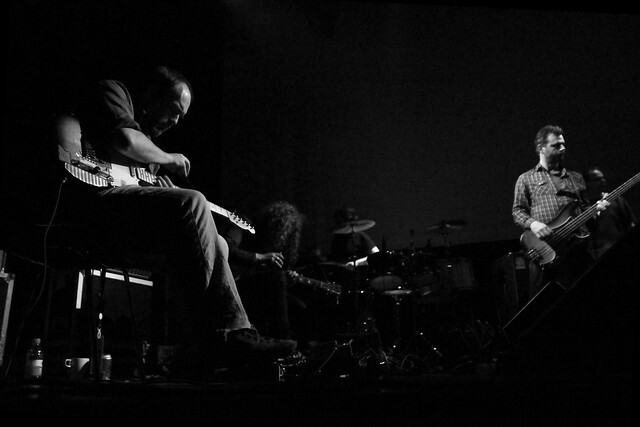 I don’t normally do an image search of bands before I watch them, but I did this time with Godspeed You! 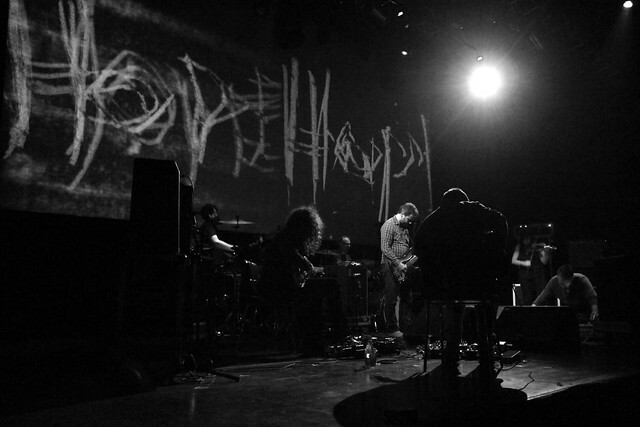 Black Emperor, since I’ve always known the band by name, can say I’ve listened to them a few times, but I don’t know how they look like. See, since I take performance photos, this helps. The search results weren’t the motivating sort, though, since they don’t fit the face-the-audience mold. Anyhow, I was there for the music and whatever spectacle awaits me. The lines were long, and foreign faces were abundant. Still found a place in front, though I was on the far left of the stage. I broke into the pit when they played their encore, which felt forced; performances like this just feel cheapened with encores. How was it? I think there is a benefit to be ready to immerse yourself in music as atmospheric like this in a prepared state. I was like that with Boris, and it helped that there were prominent images that served to represent that music. This Godspeed You! Black Emperor gig was notably great, and I am sure numerous souls were blushing pink with the experienced right after the performance. My soul did swell from that massive, beautiful sound, but it didn’t last, which I’m certain is all my fault.